The completion of one of the world’s longest bridges stands as the biggest monument to China’s success in reuniting its colonial-era concessions. Overcoming the political divide may prove much harder. 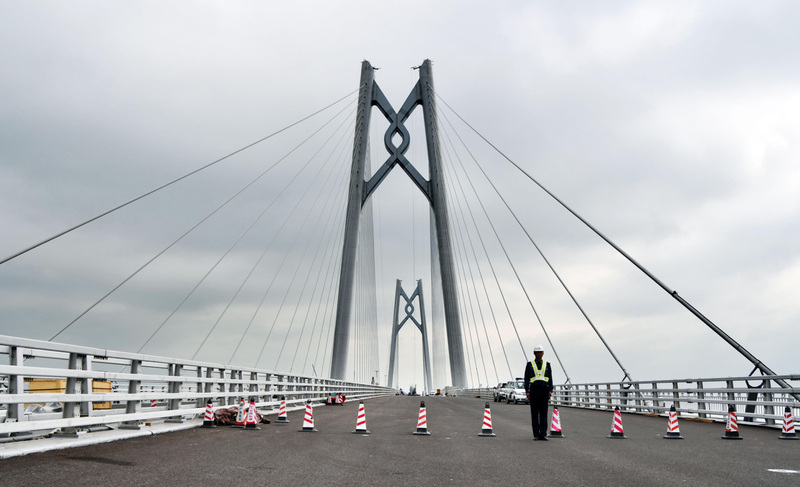 The 55-km (34-mile) span — eerily deserted as crews prepared for a ribbon-cutting expected later this year — connects the former European outposts of Hong Kong and Macau for the first time and ties them both to southern China. It’s tipped to carry some 29,000 cars and trucks daily over blue tropical waters formerly patrolled by three navies, and across borders that the People’s Liberation Army once guarded mostly to keep defectors from leaving. 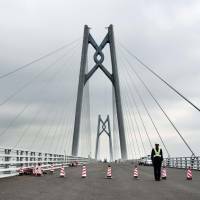 The $15 billion bridge is only one piece of President Xi Jinping’s sweeping plan to knit the region into a high-tech megalopolis to rival Silicon Valley in California. This so-called Greater Bay Area — with 67 million residents — would boast a $1 trillion economy and eclipse Japan as the world’s fourth-largest exporter, according to HSBC Holdings PLC. While the project envisions a better marriage of China’s industrial might, Hong Kong’s capital markets and Macau’s casinos, it also risks aggravating rising tensions over Beijing’s influence on the reclaimed colonies. Hong Kong in particular is confronting hard questions about whether it can profit from China’s rise while still maintaining the “high degree of autonomy” promised before its return from Britain. The Greater Bay Area could serve as a new growth engine for Hong Kong, Macau and Shenzhen, the economic powerhouse one of Xi’s predecessors, Deng Xiaoping, built on their doorstep almost four decades ago. To make it work, China must figure out a way to move people and capital more efficiently between its one-party state and the liberal, capitalist bastions of Hong Kong and Macau — which have their own passports, currencies, trade polices, courts and civil rights. Success could help quiet a persistent source of angst toward the party and provide a launching point for China’s “Belt and Road Initiative” to integrate trade and infrastructure networks across Africa, Asia and Europe. Failure risks undermining an economic system credited with making Hong Kong a top financial center and former Portuguese possession Macau the world’s biggest gaming hub. The challenge facing Xi was clear during the three-year debate over China’s $11 billion project to connect Hong Kong to its prized high-speed rail network via Shenzhen, where internet giant Tencent Holdings Ltd. and smartphone-maker Huawei Technologies Co. are based. To make the commute more appealing, authorities sought to station the Chinese border crossing at a futuristic new rail terminus overlooking Hong Kong’s Victoria Harbour. The plan faced resistance from democracy advocates, who argued it would undermine a constitutional ban on mainland law enforcement officers operating in the city. Hong Kong finally passed the necessary legislation in June, but only after China’s national parliament stepped in to ratify the plan and six opposition lawmakers were purged from the local council for a variety of violations. The first bullet trains are expected to start arriving under the rail terminal’s 4,000 glass panels next month. “This will be the fastest border crossing with the mainland,” said Francis Li, operating chief for the MTR Corp., which runs the project. The debate highlights a divide between Hong Kong’s Beijing-backed government and its citizens, who routinely give about 60 percent of their votes to opposition candidates in local legislative elections. Many of the city’s Cantonese-speaking residents — particularly its youth — see little appeal in education and employment on the Mandarin-speaking mainland and are suspicious of the party’s intentions. “It’s the old communist tactic of using economic policy to impose political control,” said Sonny Lo, a politics professor at the University of Hong Kong who has authored books on Chinese police practices and the city’s relationship with Beijing. Concerns have only intensified since Xi took power in 2012 and began tightening the mainland’s already stringent curbs on dissent. 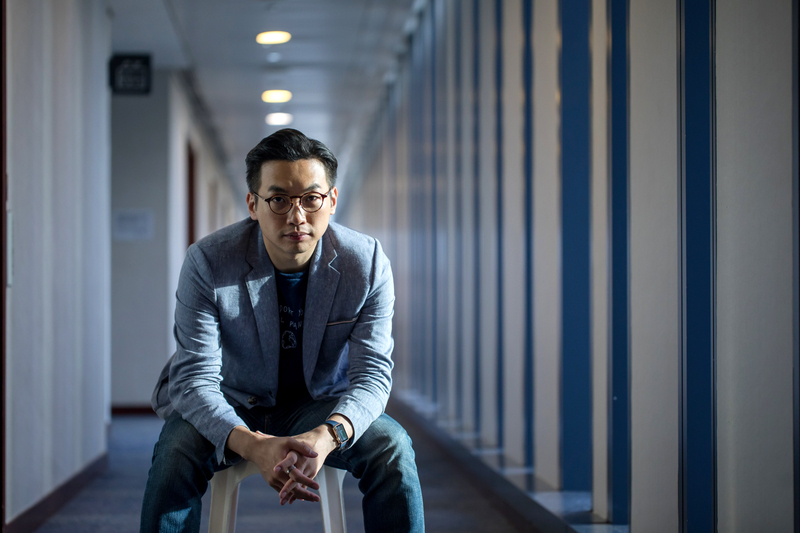 The Hong Kong government’s refusal to grant democracy concessions after mass protests in 2014 convinced some people to found pro-independence parties — and authorities to launch unprecedented efforts to ban them. Such concerns seem more abstract while riding the moving sidewalk across the Sham Chun River and watching the fields and swamps of Hong Kong’s northern frontier give way to the skyscrapers of Shenzhen. It was there in 1979 that Deng approved what would be his first special economic zone, reversing the flight of people and money from the chaotic and impoverished mainland. The zone lifted many limits on cross-border trade and foreign investment. Shenzhen swelled with Hong Kong cash and mainland workers. Entrepreneurs who have grown accustomed to operating on both sides of the border say concerns about Beijing’s political intentions are overblown. 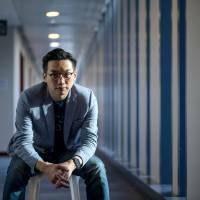 Horace Zheng, 38, a vice president at startup Youibot Robotics, said he wants the Greater Bay Area to “take off” so he can market his vehicle-inspection robot across the region.